The Global Malbec Masters, organized by The Drinks Business, is a prestigious series of blind tasting competitions, designed to reward the very best Malbecs in the world, ranging from the mountains of Mendoza and Chile's Maipo Valley to the châteaux of Cahors. Judges are comprised exclusively of Masters of Wine, Master Sommeliers and senior buyers. Top wines receive medals from bronze through gold with 'Master' reserved only for the truly exceptional. One of the key elements to the competition's success is the quality and the dedication of the judges involved. Every wine is measured on the taste of its grape and the skill of its winemaker. Preconceived ideas about the importance of location are pushed to one side as wines from across the world are judged by style and price exclusively. 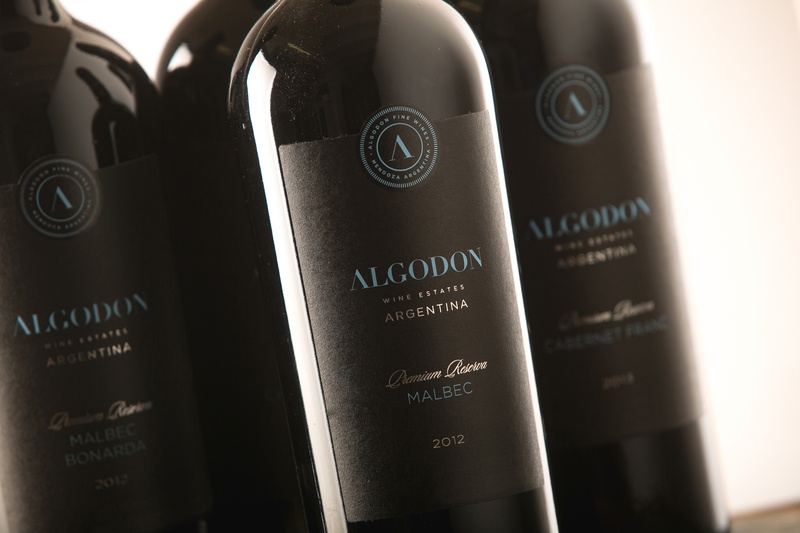 Algodon's 2012 Black Label Malbec represents the best selection from Algodon Fine Wines 1946 Malbec vines, whose low yield produces full concentration of fruit and flavor. The tannin structure is underscored with the combination of terroir and skilled winemaking. The Black Label Malbec spends 24 months in new French oak after the microvinification method, the grapes are harvested in late February, and attentively selected directly in the vineyards. Anthony Foster MW: "Saturated opaque purple color with violet hues anticipate the brooding bouquet of mineral, wood smoke, lavender, incense, black cherry and plum. Voluptuous and powerful on the palate, the wine is dense, rich, succulent and impeccably balanced. It is gorgeous now but could also enjoy another five to six years of aging." Mauro Nosenzo, Winemaker: "Enjoying a shining intense red, with crimson tones and gleams, its aromas are a complex marriage of ripe red fruits, cherries and licorice combined with chocolate and coffee. On the palate, this wine is sweet and extremely well balanced. Robust and elegant, it offers a memorable, refined finish while its complex flavors linger in the after-taste. This wine goes well with grilled red meats, dishes served with Malbec-based sauces, ravioli stuffed with beef, and mushroom risotto dishes." "Our entire Algodon team is excited and honored to have received one of Global Master's rare gold medals," said Scott Mathis, Algodon's founder, chairman and CEO. 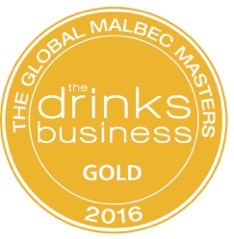 "Algodon's Black Label Malbec is truly an outstanding wine and we couldn't be happier with the judge's accolades for our flagship Malbec. We are currently poised to rollout our wines in the U.S. market and look forward to bringing our complete portfolio of wines to the largest wine consumption country in the world. Simply, our goal is to make the best Malbecs and Malbec blends in the world. Congratulations to our winemakers and wine advisors." "Algodon Fine Wines continues to garner high praise with their core Malbec and Malbec Blend varietal wines and this gold medal is another testament to the superb winemaking talent in San Rafael, Mendoza," said James Galtieri, Seaview's president and CEO. "It certainly provides our sales and marketing teams with additional ammunition for our forthcoming launch of the entire Algodon range of wines. We feel privileged to represent the award-winning wines from Algodon." Algodon Wine Estates' Senior Wine Advisor, Anthony Foster MW added: "During my 50 years of working in the international wine trade, I have been enthralled by the evolution of Malbec as a prime grape variety throughout the world. We are proud to be amongst the leaders in this field. We have a passionate team in San Rafael from vineyard to winery, dedicated to producing excellence. Our micro vinified Black Label Malbec is proof of this and one of the pinnacles in our stable." Algodon Fine Wines' full 2017 Black Label wine lineup is set to be announced at an official press gathering and tasting led by Algodon's winemaker, Mauro Nosenzo, at Algodon Mansion in Buenos Aires on November 2, 2016.